click on the image below to read the blog and there’s a window on the right where you can vote for your favs ! I don’t know where the art gallery business began using the term “stable”, as in “stable of artists”, to refer to the artists whom they choose to represent…but I was pleased to receive a phone call last night to welcome me out of this mid-winter cold and into the warmth of the stables of Gallery 1261 in Denver, CO. I look forward to having this venue to expand our patron base and am honored to be in their fine company of artists such as, Scott Fraser, Daniel Sprick, Robert C. Jackson, Quang Ho, Kate Sammons, and Nancy Switzer just to name drop a few ! It’s been a couple of seasons since we had the pleasure of John O’Hern’s company in our little corner of the planet. As part of his east coast travels, he came to the studio to interview me for the American Art Collector Magazine. John is one of those rare humans who has a thriving curiosity, the intellect to follow where it leads, and a profound peace at the center of his core. The combination makes for stellar conversation and his rapier like wit always keeps me on my bog-Irish toes. I’m so grateful to John for his continued support and to Joshua Rose, the editor of AAC for profiling my work in this issue. 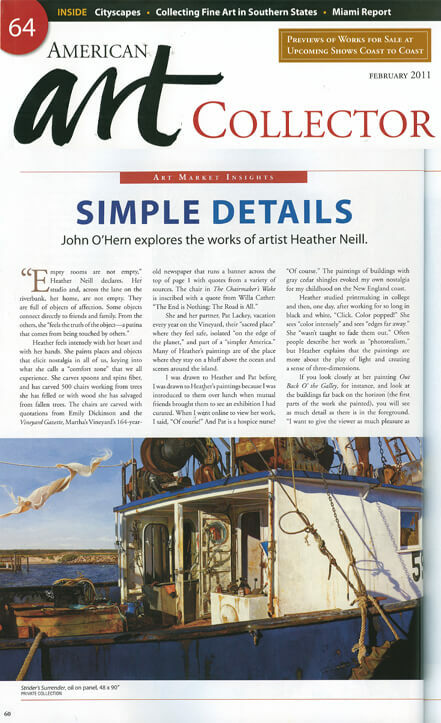 The magazine is my go to source for the latest from artists and galleries and I’ve found something new and important for my work in every issue. When I decided to paint this wonderful old truck that now lives out it’s final days on the farm just over the hill I had no idea that it had one more curtain call in its life of serving show business. The painting was on exhibit for the show in York last November and I was surprised when a line formed of people telling me that they knew the truck, knew of the circus, were IN the circus and each had a fountain of memories about the good old days in which that truck played such a big part. The painting is now on exhibition at the Granary Gallery on Martha’s Vineyard, which you all know is where a good portion of my creative energy and inspiration comes from. Recently, I’ve made a conscious decision to step outside of my Pennsylvania studio more often and paint what I see in my own backyard. The truck is something we pass daily as it rests in the iconic fields of corn and so the muses called. So, with the synergy and symmetry that lights my way these days, it was no surprise to read from one of the circus alumnae that this very truck was on the ferry over 3 decades ago bringing the Circus Kirk family to the Vineyard. The first circus to play on the island. My friend Ted remembers the dancing ladies ! icon, toiling away in a field outside of York. years and sometimes I feel like that part of me is indeed out to pasture. the ferry. I recall it took two or three loads to get them all over. We were the first circus ever to play there. Thanks for making the painting, and thanks for letting me ramble. In 1971, I was fresh out of college and my first job in show business was with Circus Kirk, a student summer tented circus out of East Berlin, PA which is 15 miles northeast from Gettysburg in rural Adams County. In addition to performing as a clown, I drove the stock truck in your elegiac painting “Out to Pasture.” I also painted the circus logo on the truck. It’s amazing the truck has survived because it was already ancient in 1971 as was the entire fleet of Circus Kirk vehicles. Everyday, I loaded the truck with five ponies, one obstinate palomino horse by the name of Golden Rocket, his arch enemy Bama the Lama, Munch the Wonder Goat, a the mongrel dog act, and Pork Chop the trained pig. 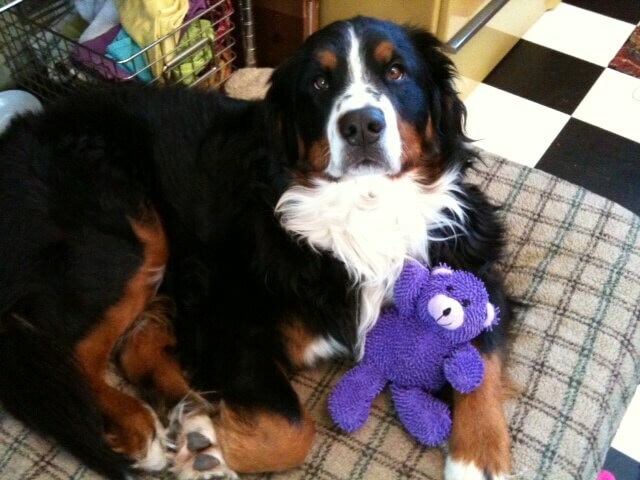 Talk about a menagerie! And those poor animals had to suffer my jerky driving because I learned to drive a stick shift on that truck so my shifting was anything but smooth. What stories I could tell you about the adventures in that truck, traveling the highways and byways of rural Pennsylvania and Ohio. And the breakdowns! I’ve begun the serious work of narrowing down the best compositions for the winter’s hibernation. 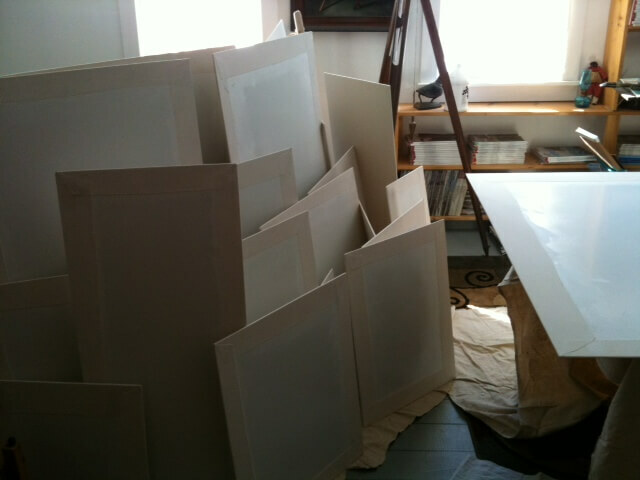 The list…the short list…is over 30 paintings. When I count out the weeks, the days, between now and the big summer show at the Granary Gallery… July 17th for those who might wish to know… the realist in me, no pun intended, might anticipate 12-15 solid pieces, one of which will be another very detailed 8 footer. So… the pressure is on ! With my supply of ready-to-go panels dwindling I can’t wait for the weather to warm up before putting some more in the pipeline. The newly roofed garage is cleared out enough to provide ample workspace and though it is not insulated or heated the space heater and afternoon sunshine warm it up enough to work. At least that was the case until this morning. The snow means no sun and the temps are well below freezing. 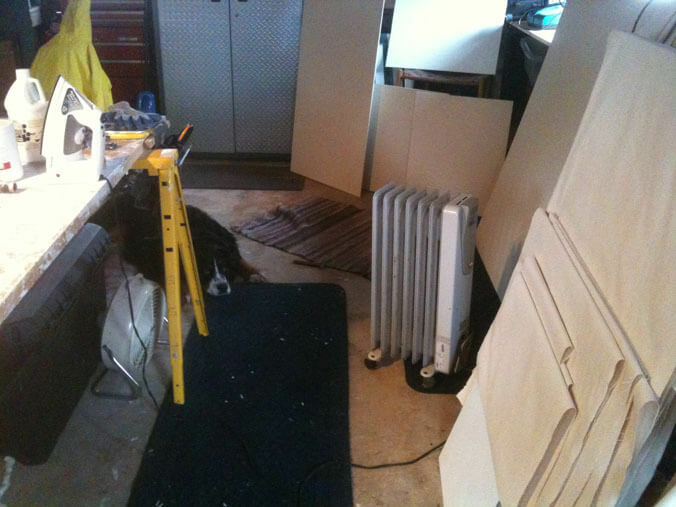 Even though I keep the adhesive next to an iron and use said iron to smooth and secure the canvas to the panels…and even though I have Finnegan laying at my feet and the Koln Concert vibes warming up the rest of the garage…it was too cold for this artiste. I got one more panel wrapped and fled to the warmer studio. A couple weeks ago I finished a painting which featured this compost pile…and uncharacteristically I’ve gone back a couple times since to tweak the light and shadows…not quite satisfied that it was singing. and just that little bit of snow, almost an inch ! 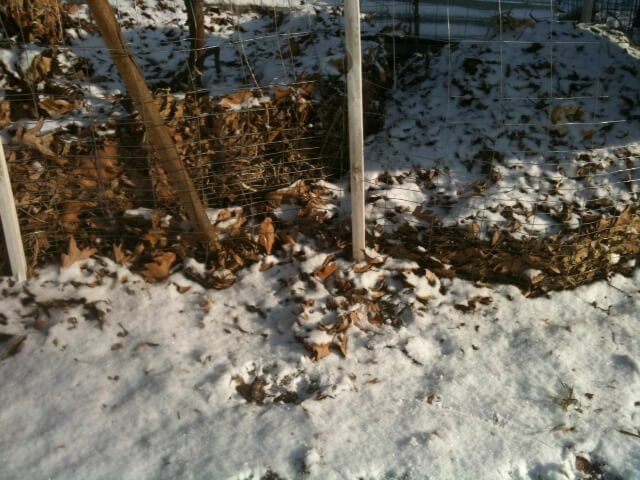 , gave a place for the raking light to…well…rake. I’m going to go back one more time…with today’s snow falling outside and the fingers warming up…and see if the muses were right.